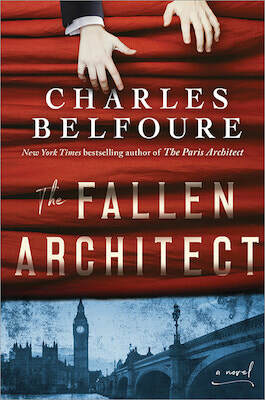 The following is an exclusive excerpt from The Fallen Architect, by architect and novelist Charles Belfoure. In the following passage, we meet a man just released from prison as he hops on a train and contemplates his past as an architect and social climber in an England with rigid class divides. When the dawn came, Layton stirred and opened his eyes, which felt as if they had been glued shut. The first thing he saw was a blurry image of the Wragby railroad station across the street. People were milling about, meaning it was now open. As he rose to his feet, he felt an excruciating pain in his midsection, which caused him to plop back down to the pavement. Taking hold of the doorframe in the entry to the grocer’s, he pulled himself up, groaning in pain. Layton dragged his body into the station and purchased a ticket on the next southbound train. Out of sheer habit, he paid for a first-class seat, though third class would have been one-quarter the price. Fifteen minutes passed, which he spent stooped over on a wrought iron bench, suffering from a pounding headache and blurred vision in addition to the terrible pain in his torso, before the train rumbled up to the platform. Compared to his living accommodations for the last five years, his plush, scarlet upholstered seat in the first-class compartment felt cozy and quite luxurious. Watching the lush green countryside blur by the window soothed him and cleared the cobwebs from his head. At Mulcaster, his cell had only a two-foot-square window that looked out over a rock-strewn dirt lot. Layton and hundreds of other inmates were sent there each day to crush stone with sledgehammers. In all his time in prison, he never laid eyes on anything verdant. Now, stone cottages, pastures full of cattle, groves of trees, and fields of rye and barley flew by. After about ten minutes, Layton turned from the window to his fellow passengers. One, a corpulent man in his fifties in a black suit who was already seated in the compartment when he boarded, was staring at him. His puzzled look said all too clearly, “Where have I seen this fellow before? The army? The club?” When he saw that Layton had caught him staring, he averted his eyes and pretended to read the Strand Magazine on his lap. But his eyes kept flitting up, and he was clearly racking his brain, trying to remember. Layton squirmed in his seat, realizing that every stranger he encountered now was a potential enemy who could identify him. When the conductor came to check tickets, the man began staring again. Unable to bear such intense scrutiny, Layton rose, walked out of the compartment, and found an empty one. His head leaning against the window and the rails rumbling beneath his feet, he considered his options. I am a fraud, he thought. A charlatan who skillfully hid my common-as-dirt, working-class origins. Rather, it seemed as if he had only one option. He had no choice but to take on a new identity and try to start life anew. Layton smiled to himself at that thought. A false identity did not trouble him, because he’d been living under a false identity for twenty years; he was as much an English gentleman as the hogs on the farms that the train was passing. I am a fraud, he thought. A charlatan who skillfully hid my common-as-dirt, working-class origins. The instant a child in England was brought into the world, he was placed on a rung of a tall, invisible social ladder. And there he stayed for the rest of his life. Layton’s rung was located in the village of Puddletown in Dorset, a lush farming country overlooking the English Channel. More specifically, on Cherry Lane, in a thatched-roof cottage of local stone built by his father, Thomas Layton. His late mother, Fanny, was the eldest daughter of a shoemaker in Charminster, a village to the west. While Layton’s rung was solidly on the working-class—and thus lower—half of the ladder, in England, each caste had its distinct parts. Sharp and often cruel divisions existed between those who worked for themselves and those who worked for others. Thomas Layton was a master mason with his own business, albeit a small one, that employed others. He thus enjoyed superior rank. Enhancing his position further was the fact that he was a landholder; he owned a cottage and outbuildings on two acres. In England’s tight-knit rural society, the self-employed looked down on the “workfolk,” especially farmworkers. They rarely intermarried or even visited each other’s homes. “We don’t associate with the likes of them” was a common refrain heard during Layton’s boyhood in Dorset. This was not simple snobbery but part of the system of ironclad discrimination that ruled society. England’s class system was not unlike the railways, with their segregated first-, second-, and third-class seating. A man could fall down the ladder—and many did—but almost never did he climb up. There was always someone directly above, ready to push him down with his boot. Privilege and status were the only things that determined one’s social identity, and all Englishmen knew that, down to the lowliest guttersnipe. But as a child, these concerns had not touched Layton’s mind. The Dorset countryside had been a very wonderful place to grow up. Layton thought often of those long, dreamy days playing in the fields and woods, fishing in the streams, learning the names of plant and trees. It was an idyllic rural life that had changed little from medieval times. Time was measured by the progression of annual festivals and agricultural seasons—Easter, Whitsun, Christmas, lambing time, haymaking, the harvest. Layton had developed the sort of topographical intimacy one gains only by walking everywhere, by knowing every square foot of the land: the ponds; the sandy heaths and chalky downs; the histories, quarrels, and scandals of the occupants of every cottage. Privilege and status were the only things that determined one’s social identity, and all Englishmen knew that, down to the lowliest guttersnipe. Being the son of a tradesman, he had been isolated from the harsh realities of farm life. Many laborers worked for wages so low, they could barely feed a family. Layton remembered his father telling his mother about a boy on a nearby sheep farm who’d died of starvation; at the autopsy, his shriveled stomach held only raw turnips. Farmers sent children as young as seven to work full-time in the fields. In contrast, Layton’s childhood was solitary—his two brothers were older—but happy. He was part of a close-knit family; ten generations had lived in Dorset, and hardly any had left the county. Both his grandmothers were grand storytellers, inexhaustible sources of country lore. Music was a joy for his family; dancing, singing, and the playing of instruments held important sway in their lives. Layton could still hear the sounds of his uncle’s fiddle and see his mother twirling a jig in front of the fireplace. Then there were the obligatory Sunday trips to Stinsford Church, with its time-honored rituals and music of the Church of England. Due to his family’s social standing, Layton attended school, a privilege not accorded to the unfortunate children of the workfolk. From his first day in grammar school in Puddletown, he excelled. His mother and her mother had been voracious readers, and the tradition was passed on. When he showed a talent for drawing, she arranged occasional lessons from a retired schoolmistress. By age eight, he’d won many academic prizes, including a copy of Homer’s Odyssey. At ten, he walked four miles daily to the British School, run by Isaac Glanfield in Greyhound Yard, Dorchester, and there he continued his academic success. By 1880, Dorchester, a county seat and provincial market town, had expanded well beyond its original Roman fortifications to become a small city with banks, shops, government offices, and a British army garrison. Among the bustle of town, soldiers in splendid red-and-gold uniforms strolled the streets. Layton loved the energy, the change from quiet, rural Puddletown. Dorchester had several entertainment venues, including a theatre and a music hall, which he attended regularly, either alone or with his parents. When Glanfield set up a private academy for older and more advanced students, Layton was invited to attend. There he took Latin and French, read history and the classics. He discovered a wonderful world of knowledge and plunged in with vigor. Because Layton’s father had made some tiny contributions to Stinsford Church, the vicar, Reverend Donald Carter, had invited the Layton family for tea. It was at this repast that the fourteen-year-old Layton met Carter’s son Ian, home from his studies at Oxford. Ian was refined, handsome, well dressed, and erudite on all subjects. Layton was completely taken by him, and that was what he decided to become: an Oxford man. He would take a history degree, and he accelerated his studies so that he might qualify for the rigorous entrance examinations at Oxford and Cambridge. One day in his fifteenth year, Glanfield praised Layton’s score on a mathematics exam. Brimming with pride, Layton told the schoolmaster that he had worked especially hard on the topic so that he might be accepted into Oxford. The smile fled Glanfield’s face. With an expression of near pity, he explained the facts of British life to the boy—a day Layton would never forget. In rapid succession, Glanfield spelled out the shortcomings in Layton’s education, particularly his minimal knowledge of Greek. But the biggest blow of all was this: he was the son of a stonemason. Even if the boy were superbly trained, when he wrote the university asking permission to sit for the examination, they would reply that someone from his background would find better success in life by following his father’s sensible and honorable trade. “I once had the dream of being a university man,” said Glanfield. He sighed. “And the idea was given up years ago.” In those days, schoolmasters were not college trained. Seeing the baffled look on the boy’s face, he patted him on the head. “I’ve given you the finest education for a boy of your place,” he said. Layton well remembered the long walk back to Puddletown that day in a state of disappointment and confusion. What Glanfield had said, he realized, his parents had known all along. The prospect of a university education was pure fantasy. Ian was the son of an Oxford-educated vicar whose own father had been to Oxford. Layton’s family had the money, and yet, what he was attempting was still socially impossible. Cheeks flushing hotly, he remembered sitting in a pew in Stinsford Church listening to the vicar preach against the presumption of the lower classes who sought to rise into the ranks of the professional class. He hadn’t known that applied to him too. But his father had other plans. When Layton graduated from Glanfield’s academy at sixteen, his father told him that he was to be articled for three years to John Hicks, a Dorchester architect, and trained in the architectural profession. Thomas Layton had already paid Hicks the first year’s fee of forty pounds for his son’s education. Layton’s mind had reeled. As a boy, he had liked to draw, especially portraits of his family and pets, but never expressed any interest in becoming an architect. But his father did the stone- and brickwork for church restorations throughout Dorset, and Hicks’s specialty lay in this field. In the end, a business connection determined Layton’s future. His father didn’t want him to dirty his hands as a mason; in contrast, being an architect was highly respectable and provided a good middle-class income. When a father chose a trade or career path for his son, there was no argument. In the summer of 1886, Layton dutifully reported to the office of John Hicks on South Street in Dorchester. There were two other pupils in the office, one finishing his tutelage, the other in his second year. Hicks, a genial, well-educated man, took great pride in training young architects, and Layton received first-rate instruction. It was a relief; like many in England, Layton had read Charles Dickens’s Martin Chuzzlewit, in which the innocent young hero was articled to a villainous and greedy architect, Seth Pecksniff, who lived off his students’ fees and didn’t teach them a thing. This was not Layton’s fate. Hicks’s specialty was the restoration of Gothic churches, and Layton took up the same. He was sent all over southern England to draw up floor plans, traveling to the parish churches of St. Mary’s, Rampisham, Coombe Keynes, and Powerstock. In the process, he learned all there was to know about medieval construction and design. Layton’s exceptional intelligence and drawing talent proved useful; he soon became an excellent draughtsman. After just a year, Hicks tasked him with designing small parts of renovation projects. When his three-year pupilage ended, Hicks offered him a full-time position, which Layton gladly accepted. His bitterness at being denied a university education had passed. Being an architect made him happy. On the day of St. Timothy’s rededication, the old man pulled the young architect aside and asked him to design a chapel on his estate. Three years later, his life changed again. As he stood in the nave of St. Timothy’s Church in Somerset, making some sketches, an elderly man in a rumpled tweed suit approached and asked him about the renovation. Layton took the man around the church, describing the proposed work in great detail. Before starting a project, Layton made a thorough study of a church’s history so that he might understand its original construction and alterations over the years. Sitting in a pew with the old man, he enthusiastically told him about this church’s past. After two hours, the man stood and introduced himself as the Marquess of Oxton. His family had donated the funds for the church’s restoration, and for the next year, the marquess worked closely with Layton on the project. On the day of St. Timothy’s rededication, the old man pulled the young architect aside and asked him to design a chapel on his estate. All architects dream of going out on their own, but Layton, with his lack of social contacts and low-class standing, had never believed he could. But other projects for the marquess’s estate and work for his titled friends soon followed. Layton set up an office to handle the rush of new jobs. The son of a mason found himself dining with the aristocratic and the wealthy—a new life far, far above his station. They valued his advice on architectural matters and liked him as a person. It was at this point that he began his elaborate masquerade. He would never reveal his past as a workingman’s son. Instead, he became a full-time actor, playing the role of a man born into the upper middle class. In England, a gentleman was not necessarily a member of the peerage; land ownership was tied to inheritance and wealth too, and a landowner was also deemed a gentleman. Layton took this path as his story and lied, claiming he had inherited land in the south of England. With expert skill, he learned the accent, manner of dress, and etiquette of his betters. Every day, he took the stage and fooled the world. In England, how one was perceived as a gentleman was absolutely paramount, and Layton had transformed himself into a true gentleman. Within a remarkably short amount of time, he had scaled the citadels of British privilege, even acquiring the most unattainable—a choice marriage to an aristocrat. Lady Edwina, the only daughter of a viscount, Lord Charles Litton, was a classic society beauty with incredible auburn-colored hair. She took an instant liking to Layton, who wasn’t such a bad-looking chap in his own right. They had met at a dinner party hosted by Layton’s client, Sir Richard Bonneville, who had completed a new home next to Lord Litton’s estate. The young architect was smitten with the twenty-year-old girl with the vivacious smile. In real life, a bumpkin like him would never get within one mile of a girl like that socially. With many suitors to choose from, Edwina’s slightest attention was hard-won, and Layton was flattered. He believed she favored him because he actually knew how to do something to earn a living, and she respected that. A proper English gentleman never worked, and she found them boring or silly. Layton fell in love with Edwina and, despite her father’s veiled disapproval, proposed marriage. He was incredibly happy—and very lucky. By connecting with a wealthy aristocratic family, he was able to live and advance even further above his humble origin. How ironic, he thought. Professionally, he excelled in designing ornate facades; in life, he designed a facade too, covering up his real identity. He lied about his parents (long dead), his schooling, and his upbringing. He even shared his wife’s snobbery, hiding his true roots so successfully that no one would have believed he came from a thatched-roof cottage on Cherry Lane in Dorset, a million light-years from the ballrooms of Mayfair. He had done what so few in England could: reinvented himself. Now he had to do it again. From THE FALLEN ARCHITECT. 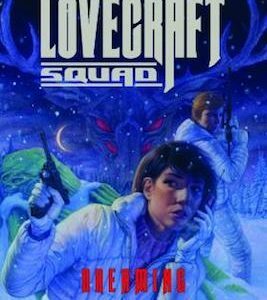 Used with the permission of the publisher, Sourcebooks Landmark. Copyright © 2018 by Charles Belfoure.